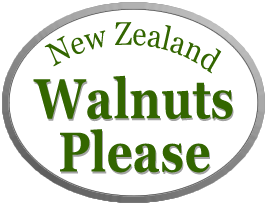 Provided by New Zealand walnut growers. Approved and prepared by a trusted food professional. An exciting and different use of walnuts. As with pickled walnuts, you can only make this recipe while the walnuts are still very green, before the shells start to harden. Generally after the new year walnuts will be too well developed for this recipe. Be sure to wear gloves when handling green walnuts or they will heavily stain your hands. This liqueur won our 2015 best recipe competition. Put all ingredients except the sugar into a bucket or large jar with a tightly fitting lid. Place the containers in a cool, dark place. Every day for 4 weeks give the container a good shake to mix things up. Then add the sugar and leave for a further 2 weeks, again shaking every day. At the end of this time leave the containers undisturbed for a couple of days before filtering through muslin at least twice to remove all solids or sediment. Pour the filtered liqueur into bottles with tight screw tops (plastic soft drink bottles or similar are ideal) and leave for 6 –12 months before drinking. This is a gravy with attitude! It has much more depth and complexity of flavour than a simple gravy. It was created by Dr. William Kitchiner in the early 19th century and appears in his very popular cookbook, The Cook’s Oracle. Melt the butter in a saucepan and stir in the flour. Allow to cook gently until the mixture just begins to brown. Pour in the beef stock, stirring constantly until the mixture is smooth and well mixed. Stir in the vinegar, port wine, mustard, (and mushroom catsup and capers if desired). Simmer gently to thicken slightly. Just before serving, stir in the chopped parsley and quartered pickled walnuts to warm through. Serve with stewed or roasted beef. Goes really well with Gabrielle’s Walnut Oat Crackers shown on our baking page. Put all the ingredients into a pot and bring to the boil. Reduce the heat and simmer gently for about 1 hour. Spoon about half of this mixture into a food processor and whizz for about 20 seconds. Then pour it back into the pot and continue simmering for a further 30 minutes or until the mixture reaches a chutney consistency. Be sure to stir often during the last 30 minutes as the mixture will thicken and stick to the bottom of the pot. Spoon into clean jars and seal. Named after the Christchurch post earthquake Red Zone where the walnuts were picked. This recipe won our 2015 pickled walnut recipe competition. Malt vinegar, raw sugar, water, whole allspice, whole cloves, quills of cinnamon (see below for quantities). Pick green walnuts from November to December, before the inner shell has begun to harden. Test that the nuts are still soft in the middle by sticking a darning needle through a few of them. Be sure to wear gloves to prevent your hands from staining, which is impossible to remove. Prick each green nut right through several times, place them in the bucket and cover with cold water. Change the water daily for 7–10 days. Drain the nuts and put them in a large pot. Add water to cover, keeping track of how many litres you use. Then for each litre add 1 tablespoon whole cloves, 1 tablespoon whole allspice and a large whole cinnamon quill. Bring to the boil, then reduce the heat and continue cooking until the nuts are tender. This takes about an hour. Pour off and discard the liquid and spices, then put the cooked walnuts back into the clean bucket. Measure the same volume of malt vinegar as the water you previously had the walnuts in. Pour this into a large pot and add 1 kg raw sugar per litre of vinegar. Bring to a boil, reduce the heat and simmer gently until all the sugar is dissolved, stirring occasionally. Pour the hot mixture over the nuts, making sure you have enough liquid to completely cover them. Cover the bucket with a clean cloth and leave for a week. Drain the liquid into a pot and bring it to the boil. Pack the nuts in sterilised, clean jars and pour over enough boiling liquid to completely cover them. Add a small quill of cinnamon into each jar for decoration (optional). Screw the lids on firmly and leave to mature for at least 2–3 months. To serve: Slice the pickled walnuts on to crackers spread with cream cheese, or simply put a few slices of the walnuts out with a cheeseboard or on an antipasto platter. Pickled walnuts are also delicious with roasted venison or other game. This recipe is a little simpler than the one above and doesn't require the walnuts to be cooked. 3 times winner of our pickled walnut recipe competition. The walnuts must be collected early in the season (around Christmas) while they are still green and the shell has not yet begun to form. Prick each nut with a sturdy needle to test this and throw away any that you cannot pierce easily. Be sure to wear gloves to prevent the walnut juices from staining your hands – the stain is very difficult to remove. Prick the walnuts all over with a fork or similar sharp instrument and put them in a large bowl. Make a brine with half of the salt and a litre of boiling water. Pour over the walnuts to cover, and leave in a cool place for a week. Then drain and cover with a second mixture of brine made the same way, and leave for a further week. Now drain the walnuts and spread them in a single layer on a tray. Leave for three or four days outside in a sunny spot, taking them back inside at night. They should turn black and dry. To make the final pickling solution, start by putting the vinegar, sugar, teaspoon of salt and the spices into a stainless steel pot and bringing to the boil. Reduce the heat and simmer for about 5 minutes to dissolve the sugar. Remove from the heat and allow to cool. Strain the solution into a clean pot and discard the spices. Bring the liquid to a boil while you pack the treated walnuts into clean jars. Pour the hot pickling liquid, over the nuts, making sure they are all submerged. Cover and store in a dark place for at least a month before use. They will taste better after 4 months. Note: Vinegar can be corrosive to metal lids, causing the walnuts to become tainted. Make sure you have vinegar-proof lids, or put a layer of cling wrap between the lid and the liquid.